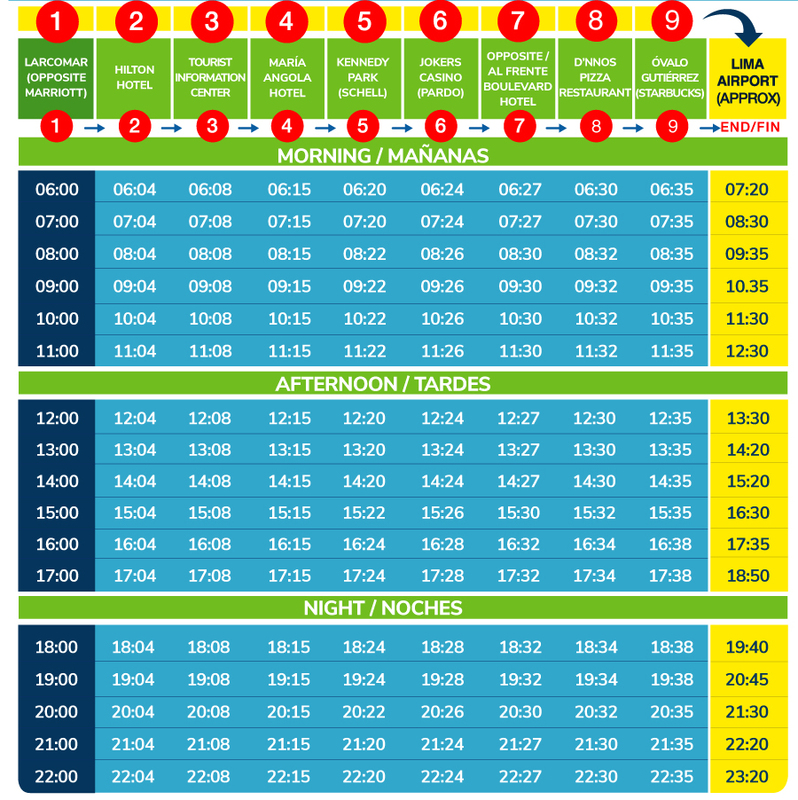 Barranco - We recommend taking a taxi to the Larcomar stop in Miraflores and getting on our bus there. Bus + taxi = Much cheaper than a taxi. Surco - We recommend taking a taxi to the Hilton Hotel in Miraflores and getting on our bus there. Bus + taxi = Much cheaper than a taxi.